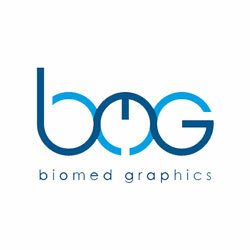 Biomed Graphics is a graphic design company created to provide high quality illustrations to professionals and individuals related to the biomedical sciences. We design on-demand images for researchers, teachers, students, and others. We also provide ready to be downloaded images through our e-shop. A large number of prominent organizations, universities, institutes, companies, scientific journals, digital news media etc. use images designed by Biomed Graphics mainly in their websites, but also in their newsletters, social media pages, reports, catalogs and advertising material. In Biomed Graphics we design illustrations to cover a wide range of needs by professionals, as well as students in the field of biomedicine. Whether you need an illustration for your publication, your presentation, your lecture, your thesis, or any other project related to biomedicine, we are here to help you. Contact us and describe your project and your needs. You can also purchase ready to be downloaded 3D/2D images from our e-shop in a secure way via PayPal.